The Peace Rose Oil Complex Sensitive Skin Facial Moisturizer is a lightweight moisturizer hydrates, calms and comforts sensitive skin. Enriched with skin-nourishing certified organic Shea Butter and our proprietary complex of Alpine, Damask and Musk Rose Oils, this soothing formula leaves skin feeling soft, smooth and comfortable. The Peace Rose Oil Complex Nourish & Silken Conditioner is a nourishing conditioner, infused with the mood-elevating romantic essence of roses, instantly softens and detangles hair. Certified organic Shea Butter blends with our proprietary Peace Rose Oil Complex in a nourishing formula that leaves hair smooth and shiny. Luminous White Toothpaste: Tom’s of Maine new Luminous White is the most advanced natural whitening toothpaste from the natural oral care leader. It’s clinically-proven to naturally whiten by removing surface stains, while remaining safe on enamel with a mint flavor to help freshen breath. Men’s Naturally Dry North Woods Antiperspirant: Tom’s of Maine’s new Men’s Naturally Dry North Woods is the first men’s antiperspirant from Tom’s of Maine that uses sustainably sourced aluminum* to provide 48 hour wetness and odor protection. Made entirely from plants and minerals, this new eco-friendly option keeps you dry and smelling fresh without petrochemicals and won't irritate your skin. Wicked Cool! Deodorant: Tom’s of Maine new Wicked Cool! boys and girls deodorant is the brand’s first natural deodorant formulated just for kids – when they’re ready – to provide 24-hour odor protection for boys and girls with no aluminum, parabens or artificial fragrances. Wicked Cool! is made entirely from plants with 100% natural fragrances, including Summer Fun for girls and Freestyle for boys. Pacifica: Dream Big Mascara The dreamiest mascara ever. Pacifica's innovative 7 in 1 Dream Big Mascara amplifies and lifts your lashes instantly with all natural plant fibers that build & build & build. Our 2 in 1 wand allows you to add volume and length with a simple twist of the handle. Get ready to fake it till you make it! 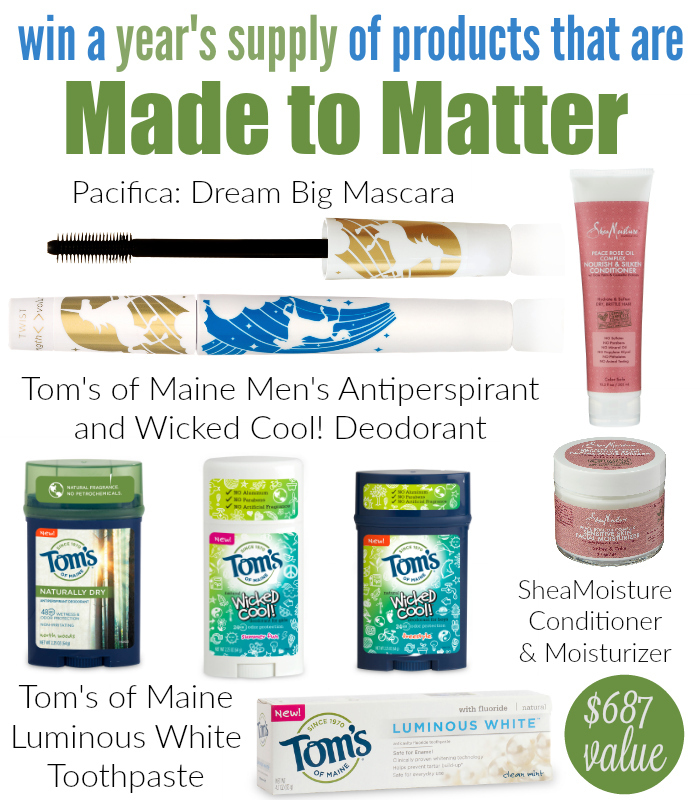 If you want to learn even more about these great new products from Tom's of Maine, be sure to check out Lindsey's post covering her favorites that are made to matter. We're so excited that these 3 great brands are ready for you to begin using products that are made to matter in your personal care routine! 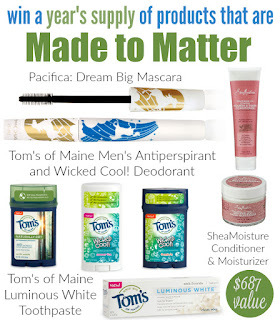 Our winner will receive 6 jars of SheaMoisture's sensitive moisturizer, 6 tubes of Silken Conditioner, 4 of each of the Tom's of Maine products, and 30 tubes of Pacifica's Dream Big Mascara for a prize package of a year's supply worth $687! This giveaway will end at 11:59pm EST on Tuesday, May 31st. 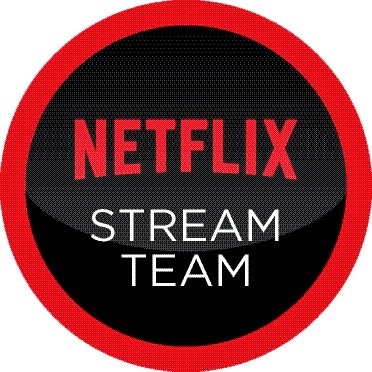 It is open to US residents, 18+ only. Void where prohibited. Please use the Giveaway Tools widget below to enter.